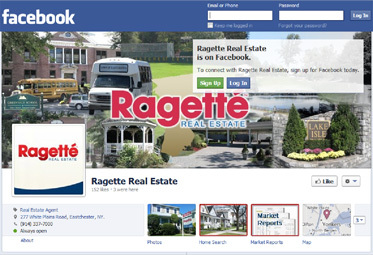 "SMART, INNOVATIVE Real Estate Marketing!" From stunning photography and advanced internet marketing syndication, to digitally tracked showings with immediate online feedback from buyers and their agents. It's a new marketplace, are you ready? Your neighborsare the only people that understand thebenefits of owning a home in your neighborhood as well as you do. We mail them “Just Listed” picture postcards of your home to alert them that your home is for sale. This often produces leads in one or two ways. Many neighbors may know someone who would like to move into the area. Often neighbors who may have a growing family will need to move up to a larger home and would like to stay in the same neighborhood and or school district. Similarly, empty nesters may want to stay in the same neighborhood but would like to move to a smaller home. The modern consumer seeks, finds, shares and shops in a whole new way, thank to the internet. Our internet partnerships guarantee your home will have maximum advertising exposure! Through our “Responsive Design” element Ragette.com will adapt it’s screen size and touch screen abilities to any device it is being viewed through. So go ahead and visit us on your tablet or your smart phone on the go anytime! • 89% of new home shoppers use a mobile search engine at the onset and throughout their search. • Mobile applications are used by 68% of new home shoppers at the onset and throughout their research. • 36% of new home shoppers use mobile devices & TV at the same time. Nearly two out of three US Internet users regularly use a social network. In fact, it’s estimated that 93% of US adult Internet users are on Facebook. We will incorporate your home Into social media websites, increasing exposure of your property listing to a vast network of our professional, personal and customer contacts. For a Complimentary (No-Obligation) Markey Analysis, Click Here!